The band might be long past its commercial heyday and sporting a new singer in place of their iconic former frontman, but they still packed their Sunday night set at Northern Quest Resort & Casino with songs from the early to mid-80s — the era when Queensrÿche burst out of the pre-grunge Seattle scene with a prog-metal sound that was more sonically adventurous than the typical Sunset Strip hair bands that dominated the hard-rock landscape at the time. 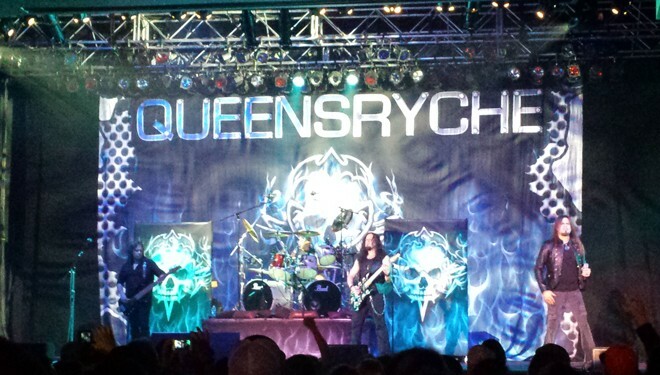 The instrumental backbone of the band remains in place in the current version — drummer Scott Rockenfield, guitarist Michael Wilton and bassist Eddie Jackson — and I imagine its no accident that they kicked off the show with the instrumental "Anarchy-X," showing any skeptical fans in the audience that even with a new lead voice, the sound remains the same. Of course, that lead voice is still a vital part of the show, and in Todd La Torre Queensrÿche has a guy capable of delivering the soaring vocals that original singer Geoff Tate was known for, as well as the various other frontman duties: cheerleading, chatting up the crowd, introducing the band members and posing for dramatic photos mid-song, as he did during "Speak." La Torre was an affable personality, thanking the crowd often and introducing tunes from the Queensrÿche canon by noting their origins. Even though this lineup has two albums of new material recorded in the past three years, only two new songs made it into the set: "Where Dreams Go to Die" and "Arrow of Time." Both fit well with the older material, but clearly the band knows its fans, and the tunes they want to here. The result was a setlist heavy on tunes from the band's massive 1988 breakthrough, Operation: Mindcrime and, more surprisingly, from the band's 1984 debut The Warning. 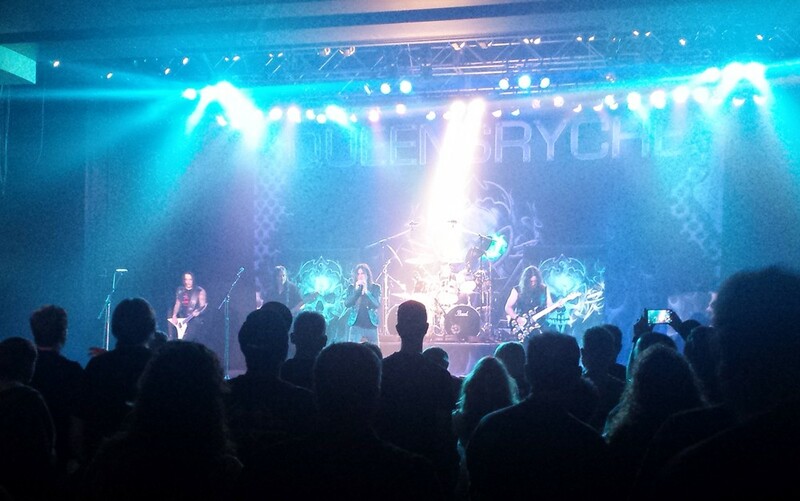 The early part of the show was a run through a lot of Queensrÿche classics, from "The Needle Lies" and "Speak" through "The Whisper," "En Force" and "Warning." They got to arguably their most popular song, the Pink Floyd-sounding ballad "Silent Lucidity," surprisingly early in the set, with La Torre handling the delicate vocals as well as he had the more rocking songs. For some indication of how huge Queensrÿche was when "Silent Lucidity" came out on the band's 1990 Empire album, consider that the video for the tune won the Viewers Choice Award at MTV's Video Music Awards in 1991, topping megaband R.E.M. 's "Losing My Religion" as well as pop one-hit wonders Dee-Lite's "Groove is in the Heart" and C+C Music Factory's "Gonna Make You Sweat (Everybody Dance Now)." These guys were full-on pop stars for a while there. At Sunday's show, though, it was the metal and hard-rock fans who showed up, people who love the guitar interplay between Wilton and Parker Lundgren, and the distinct drumming of Rockenfield. The closing run through tunes like "The Lady Wore Black," "Eyes of a Stranger," "Empire," "Queen of the Reich" and "Jet City Woman" surely thrilled them as most of the crowd filling about three-quarters of the room stayed on their feet and threw up the occasional fist in celebration. When the band ended its set with "Take Hold of the Flame" from The Warning, it seemed like they were just hitting cruising speed as the show approached nearly 90 minutes. Instead, it was over with little fanfare and no encore. It's hard to say why — the band certainly had more songs it could have delivered — but instead the lights came up and the stage was quickly empty after a few drumsticks and guitar picks were tossed to the folks in front. Maybe next time they'll include a few more of their new songs; I'm sure the fans would be happy to hear them as long as they got an encore or two as well.